The horror genre is incredibly varied — just ask my suggested Netflix categories. Slashers, psychological thrillers and creature features all have their own cliches and tropes. Still, from the campy spectacle of American Horror Story to the atmospheric slow burn of A Quiet Place, all horror promises to do one thing: scare the crap out of you. Nowhere does the horror genre live up to that promise more fully than through video games. Rather than watching someone maneuver a terrifying environment (and yelling at them to avoid obvious traps), you are tasked with making agonizing decisions, running from threats and, ultimately, staying alive. For Halloween, we’ve rounded up our favorite horror and horror-inspired games to play when you’re in the mood to get spooked. There are plenty of haunted houses to explore, sadistic killers to outsmart (or hide from) and supernatural monsters to slay. And most lasting frights come from some unlikely places (I’m looking at you, Doki Doki Literature Club). While not every game on this list is technically classified as a horror game, there are enough jump scares, creepy characters or psychological terrors to terrify all but the most strong-willed players. We recommend playing with the lights on. Supermassive GamesUntil Dawn (starring Mr. Robot’s Rami Malek) is a horror adventure in which the choices you make have a “butterfly effect” on your actions later in the game. The plot is pretty standard horror fare: a group of teenagers try to survive a night in the woods after being attacked by a masked stranger. Any details beyond that veer into spoiler territory, but I will say that one of the reveals made me jump so hard that I knocked my glasses off of my face. You’ll play as the daughter of Ellen Ripley, Sigourney Weaver’s iconic Alien character, in this game based on the original 1979 film. Combining elements of stealth and survival games, Alien: Isolation is just as tense — and cinematic — as Ridley Scott’s horror masterpiece. Team SalvatoFor the first hour or so of playing Doki Doki Literature Club, you’ll wonder why it’s classified as psychological horror. It starts off as a pretty straightforward dating sim, but once things pop off, you’ll understand that horror label. I won’t spoil the twist, but I will say that the content warnings are there for a reason and should be taken seriously. Devolver DigitalThe four episodes of this creepy adventure/puzzle game tap into a specific, ’80s-era nostalgia for horror paperbacks, text-based adventures and VCR players. If you like Stranger Things, you’ll probably be into Stories Untold. 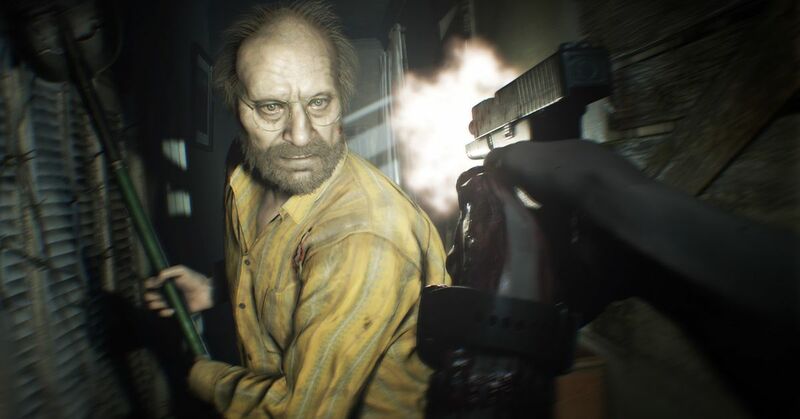 CapcomWhile the Resident Evil series has been pretty hit-or-miss, the most recent entry is a return to what the franchise does best: intimate, heart-pounding survival horror. If you’ve got a steel stomach, I’ve heard that VR ups the creepiness factor, but VR makes me queasy even without the added gore. Demon Wagon StudiosIn the indie point-and-click puzzle game Kraven Manor, the layout of the creepy abandoned house you’re exploring changes when you add tiny rooms to a scale model of the manor. You’re tasked with piecing together what happened to the manor’s owner ... while being stalked by creepy mannequins. The creators of Friday the 13th: The Game want to make you feel like a character in the iconic slasher movie — including the villain and the victim. The asymmetrical multiplayer game randomly chooses one player to control the masked killer Jason Voorhees, who tries to slay as many victims as possible before a 20-minute match is over. Everyone else plays Camp Crystal Lake counselors, who must work together (or not) to get out alive. Frictional GamesIn Amnesia: The Dark Descent, you wake up in a dark, creepy castle with a note informing you that your memory has been erased, you are being hunted by a mysterious shadow, and you need to make your way through the castle in order to kill its owner. The Amnesia collection includes a DLC story, Amnesia: Justine, and the sequel Amnesia: A Machine for Pigs. BloodborneFrom Software/SIE Japan StudioBloodborne is an action RPG, not a horror game, but the Lovecraftian monsters are based on classic horror literature, so we’ll count it. Red BarrelsThe Outlast games are pure, gory, psychological terror. You can’t fight enemies: all you can do is hide and try not to get killed. Hiding and running away is what most of us would actually be doing in a horror movie, which makes it all the more terrifying. Outlast Trinity includes Outlast, the Whistleblower DLC and Outlast 2. Arkane Studios/Bethesda SoftworksPrey, a first-person shooter that’s a spiritual successor to the legendary game System Shock, is more of an action-adventure game than outright horror. Still, there are some terrifying jump scares, courtesy of aliens who shape shift into inanimate objects, that earn Prey a spot on this list. Irrational GamesAlso a first-person shooter and System Shock spiritual successor, BioShock is more outwardly horror-inspired than Prey, with gruesome scenes involving a deranged plastic surgeon, a sadistic artist and of course the Big Daddies. Gaining the ability to control the latter is what keeps BioShock from being classified as a fully fledged horror game, according to Polygon’s resident horror expert, Jenna Stoeber. On modern consoles, BioShock is only available as part of the remastered BioShock Collection, which compiles remastered versions of BioShock, BioShock 2 and BioShock Infinite. Albino Moose GamesThe titular jump scares in Spooky’s Jump Scare Mansion (previously Spooky’s House of Jump Scares) are kind of a red herring. The cute cardboard monsters that pop out at you are harmless. Those noises you hear in the ceiling? Not so much. Top 5 SCARY HORROR Games to play on HALLOWEEN! 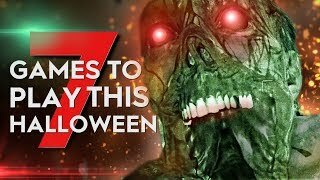 7 Terrifying Horror Games to Play THIS Halloween!